I hope you`ll like,- please let me know what you think! 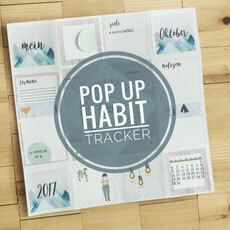 I would love to see, how your tracker turned out. 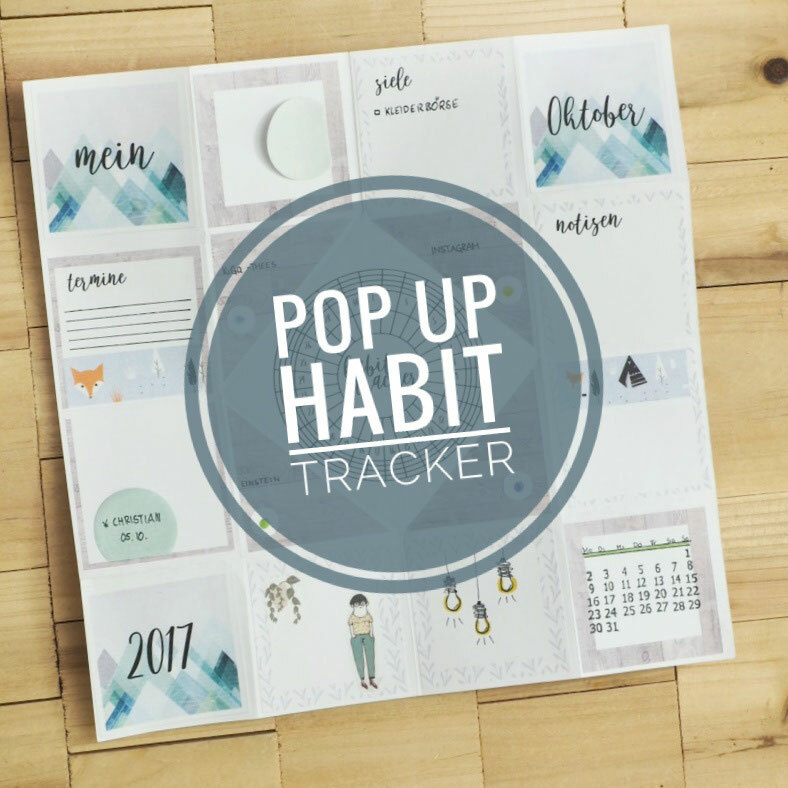 If you use the #popuptracker on instagram I'm able to have a look. What a lovely and creative video! Thank you very much for demonstrating the technique so clearly--I can't want to make my own popups. I'd like to use them for goal-setting and also as a sort scrapbook for trip photos and memories. Danke! Ganz fantastische Idee! Muss ich auch unbedingt machen! Finde die Versteckmöglichkeit daran irgendwie so toll! Danke für das Video. Ich hatte eine grobe Idee, wie es klappen könnte, dank deinem Video hat es dann tatsächlich funktioniert. Thank you so much for the helpful video. I just discovered your Instagram (and your lovely website) and I have been inspired!